Are you looking for a trustworthy and reliable house cleaning service that covers Cobb County, including the cities of Acworth and Sandy Springs? Good news, you don’t need to look any further than Image Maids. Image Maids is the house cleaning service of choice for many homeowners in the Cobb County area due to our reputation for providing thorough cleaning services at an affordable price range. We have cleaning packages that can be customized for any size home or budget. Just fill out our cleaning estimate form today to get your home sparkling clean with Image Maids. New Customer Special $104 per hour - Click Here! You can rest easy, freeing up your time for more important things, once Image Maids is on the job. Before we come to clean your home, condo, or apartment for the first time, we take all of your personalized cleaning needs into account. Have a piece of furniture that needs special care? Want to make sure that you hire a cleaning service that knows how to care for bamboo floors? Whatever special cleaning requests you may have, we want to know about them. Think about how much better life would be if you had someone to take care of all the dusting, scrubbing, vacuuming, mopping, wiping, sparkling, and shining for you. You’ll be able to walk into a freshly cleaned home while having more quality time to spend with friends and family on the weekends. Once you do, you’ll wonder why you didn’t do it sooner! Whether you need weekly, bi-weekly, monthly, move in/move out, or special occasion cleaning services in the Acworth area, Image Maids wants to help. We realize that your house cleaning needs may need to be modified depending on different events that take place in your life, so our services are flexible. We can offer you a range of maid services from our Deluxe Image Cleaning Service that is very thorough down to just our Core Image Cleaning Service, which covers the basic core areas of your home. Do you want to know about the types of cleaning projects we handle? Have any other house cleaning chores you’d like us to help with? Tell us, we want to know about other special cleaning requests so we can make your life easier. Once you hire Image Maids to handle your Acworth house cleaning needs, you’ll have time to explore and do more in the local community. There’s plenty for families and friends to do in Acworth. For one, you can visit Lake Acworth and Cauble Park. Lake Acworth is the ideal place to take kids fishing for bluegill or largemouth bass since the lake spans 260-acres, and Cauble Park sits on the lake’s northern shoreline. 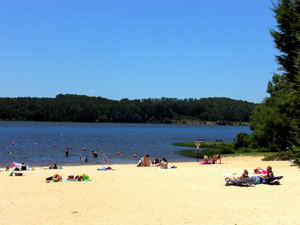 When you are ready for a break from fishing or boating, you can relax on the beach or visit the Cauble Park playground. 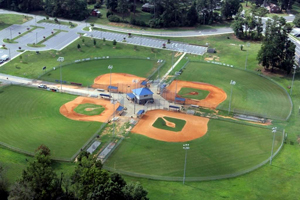 If your family participates in other outdoor sports, like baseball and football, be sure to check out the Acworth Sports Complex on South Main Street. The complex has six baseball fields, two football fields, several practice areas, batting cages, restrooms, and concession stands. Acworth Sports Complex is also the home of Horizon Field. The Horizon League partnerships with the Special Needs Development Group, Inc. that gives team sport opportunities to children and adults with cognitive and physical disabilities. Every April, Acworth area residents and visitors also have the opportunity to browse through the Acworth Art Fest held in Historic Downtown Acworth. Talented artisans from around the country line the streets with pottery, paintings, jewelry, yard art, metalwork, glass, and other unique works over a two-day period. This is one spring Acworth event you don’t want to miss! Now that you know about all of the things you could be doing in the Acworth community, it’s time to get started with our Image Maids cleaning services. New clients receive $104 per hour special, so there is no reason not to fill out our online estimate form today and be one step closer to a sparkling clean home. Get out to experience life in Cobb County, leave the cleaning to us! Click here for free maid service quote!